BlackBerry’s trying its very best to stay relevant, and as such, it’s going after one company that actually seems to admire its phone design: After suing the makers of a slip-on iPhone keyboard by Typo Products that was similar to its own keyboard and successfully nabbing an injunction against sales of the accessory, BlackBerry will now get $860,000 after it claimed the company continued to sell the product. A federal judge said this week that the Ryan Seacrest-backed company owes the cash for violating that injunction barring sales of its original iPhone keyboard case, reports re/code. 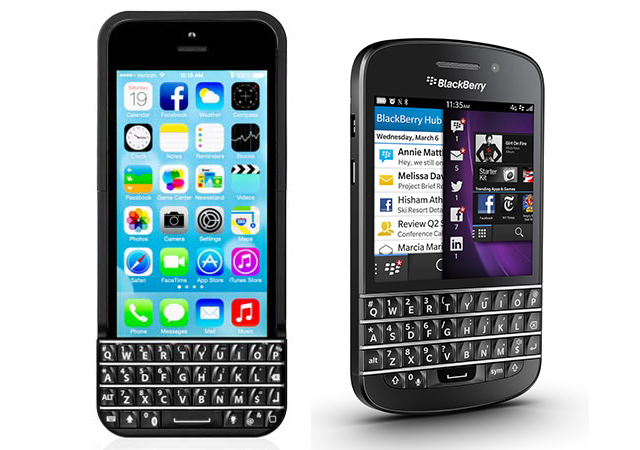 Typo had released a newer model of the keyboard that it said didn’t come in conflict with BlackBerry’s intellectual property rights, but BlackBerry wasn’t about to give up this particular bone. BlackBerry asked for $2.6 million in sanctions plus attorney’s fees, saying Typo made at least two bulk sales of the original Typo cases and performed 100 warranty replacements after the injunction went into effect.